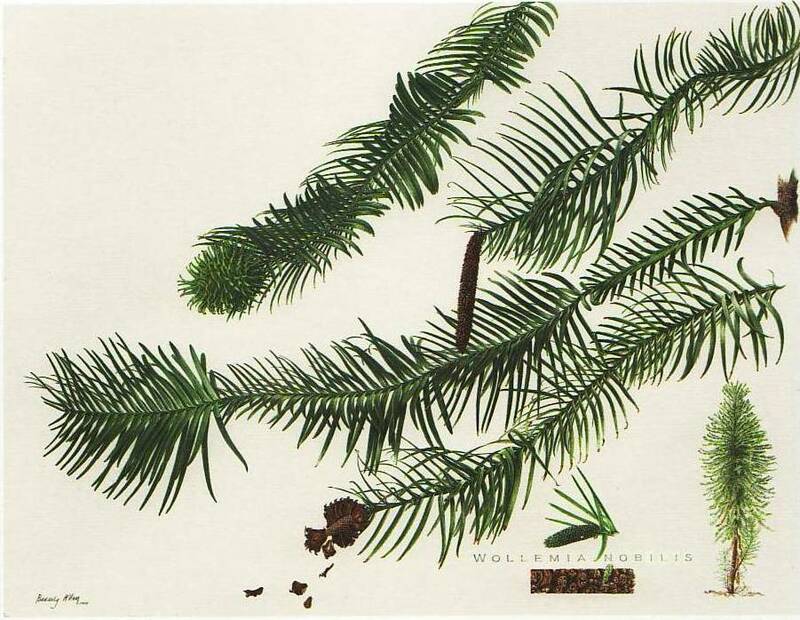 The distribution of fossil remains indicates Wollemia nobilis was once widespread in Australia, New Zealand, and Antarctica, but it was thought to have been extinct for about 2 million years. Its discovery in 1994 by David Noble, a ranger with the New South Wales National Parks and Wildlife Service in Australia, stunned the plant world. Found about 100 miles outside of Sydney in a deep narrow canyon in the rugged Wollemi National Park, its home is protected as Critical Habitat and is now off-limits to all but a few scientists and rangers. Wollemi National Park is part of the Greater Blue Mountains Area of Australia, a 2.5 million acre natural area known for its rare fauna and flora and included on the World Heritage list. The location of surviving trees in the wild is closely guarded, and access is extremely difficult and restricted to necessary scientific research. I contacted the Botanic Gardens Trust, which I knew had been involved in propagating the tree. Working with research scientists, I was given access to living plant materials at the Trust’s research facility at Mount Annan Botanic Garden. The graceful form of the leaves and branches and intricate pattern and detail have been a delight to paint.